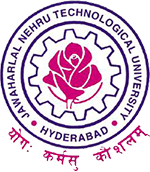 JNTUH 2-2 Results 2017: JNTUH B.Tech/ B.Pharmacy 2-2 Sem (R15, R13,R09,R07) Supply Results December 2017, jntu hyderabad II year II semester results 2017, 2-2 b.tech R15, r13, r09 Supply results 2017 are released. JNTU Hyderabad Conducted B.Tech/B.Pharmacy 2-2 semester R15, R13, R09, R07 supplementary examinations in the month of December 2017. Huge Number of students are wrote these examinations. JNTUH conducted Supply Exams For R15, R13, R09, R07 Regulation students. The Following Exams which is conducted by JNTUH in the month of December. University Released Any official information regarding JNTUH 2-2 Results, he will intimate you Through our Facebook Page: JNTUH Updates. JNTUH 2-2 Supply Results December 2017 Release Date? JNTUH B.Tech 2-2 Sem (R15, R13,R09,R07) Supply Exam Results December 2017 are available now. Since Yesterday i.e., 25/12/2016 I am not able to see the result of my son. How I can view result. Kindly do the needful. Please activate link for viewing results. Kindly do the needful. Sir.. I had one doubt r13 supplementary results released or not…. Please confirm sir.. Please provide link sir.. I want new updates .. When the exam date of 2-2 semester of stld subject. exam date plzzz tell me sir. i want apply RRB SSE Job , but my back log 2-2 and 2-1 result was not release.what do i.